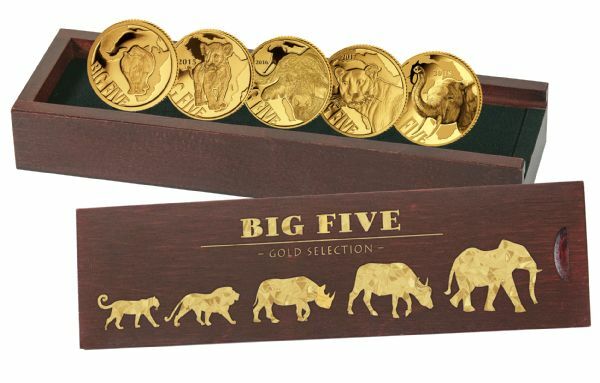 Big Five Series - Mini Collection - Set - 5 x 100 francs of 999.9 gold - polished plate - in an exquisite box - with certificate - complete collection of the Big Five, 2013-2018! Worldwide edition of only 1000 pieces. 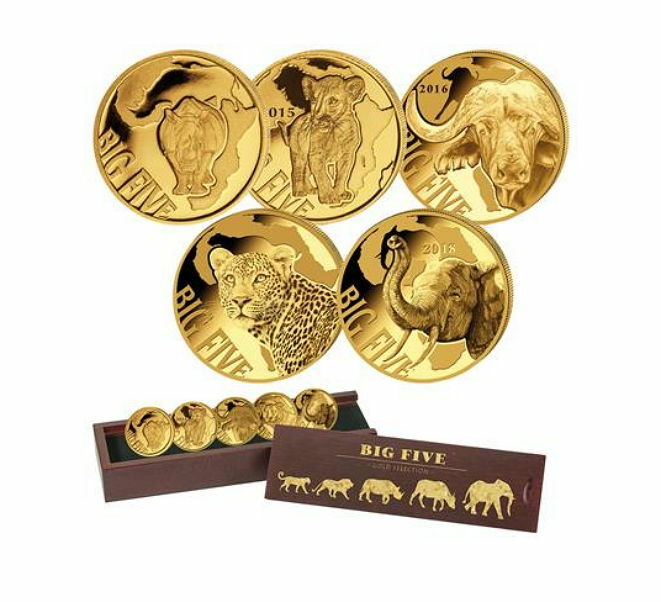 Five 'Big Five' coins of 99.9% gold in a limited complete collection. 100 francs 2013 rhino, 100 francs 2015 lion, 100 francs 2016 buffalo, 100 francs 2017 leopard, and 100 francs 2018 elephant. The set of five gold coins in polished plate is supplied with certificate in a wooden box. This exclusive set of coins would enrich any coin collection. Delivery:	In a wooden box with product card.